It has been reported that Lewisham councillor Duwayne Brooks has been awarded an OBE (Order of the British Empire). Brooks has been recognised for his public and political service after serving as a Liberal Democrat councillor. Brooks said, he is “delighted and humbled” to have received this award. 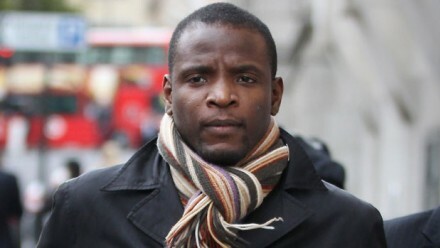 In April 1993 Duwayne witnessed the murder of his best friend Stephen Lawrence, at the hands of a group of white youths chanting racist abuse. The friends had been standing waiting for a bus in Eltham, south east London. When I think about what this country put that man through, and how the establishment set out to destroy and discredit him, it actually surprises me to read that he is accepting this award. I was expecting him to pull a Benjamin Zephaniah type move. But it is a personal choice. I was surprised, and to be honest quite disappointed that he accepted the award too. alright now i hope he gets where he wants to go….!!! after reading his book…. he has the right to do whatever he chooses…. because boy!!! they really did a number on mr brooks…. salute to his achievement.. Yes they did do a number on him that is why some will question his decision to take an award from the old “Empire” that tried to ruin him.